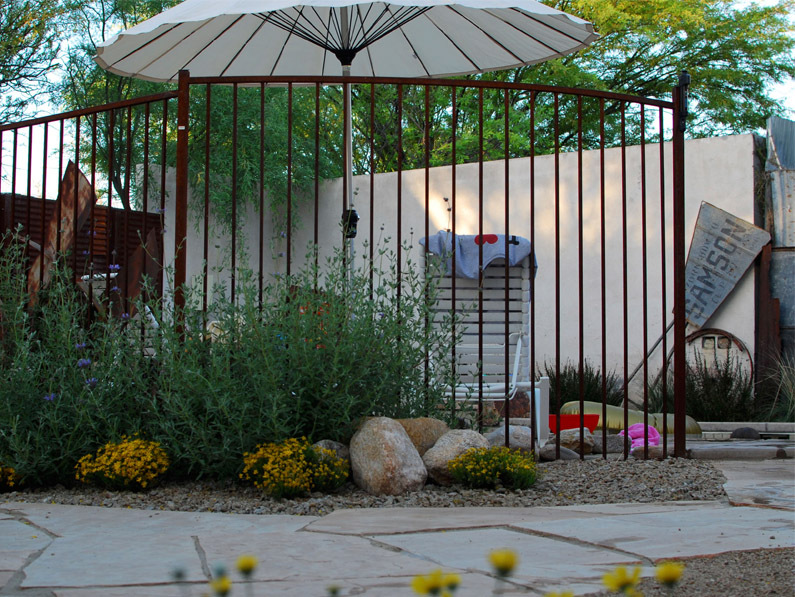 A family friendly, flexible, organized, functional space. 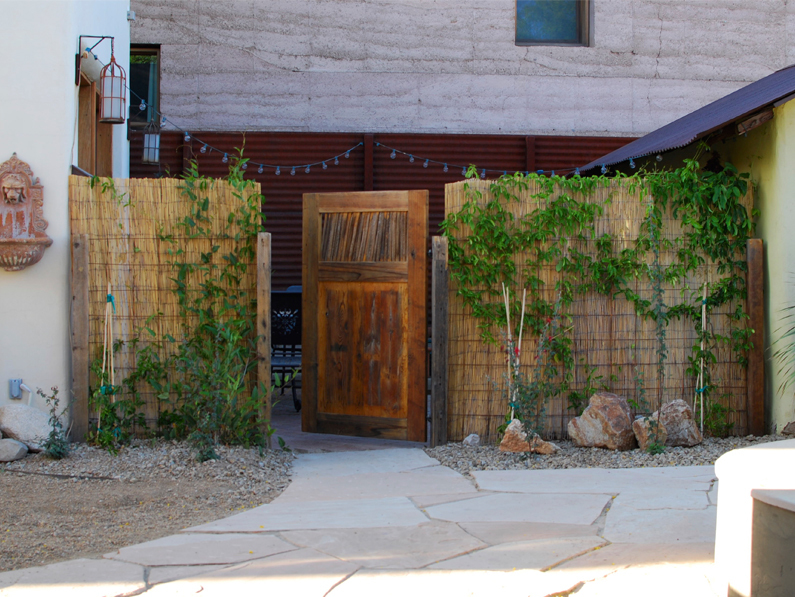 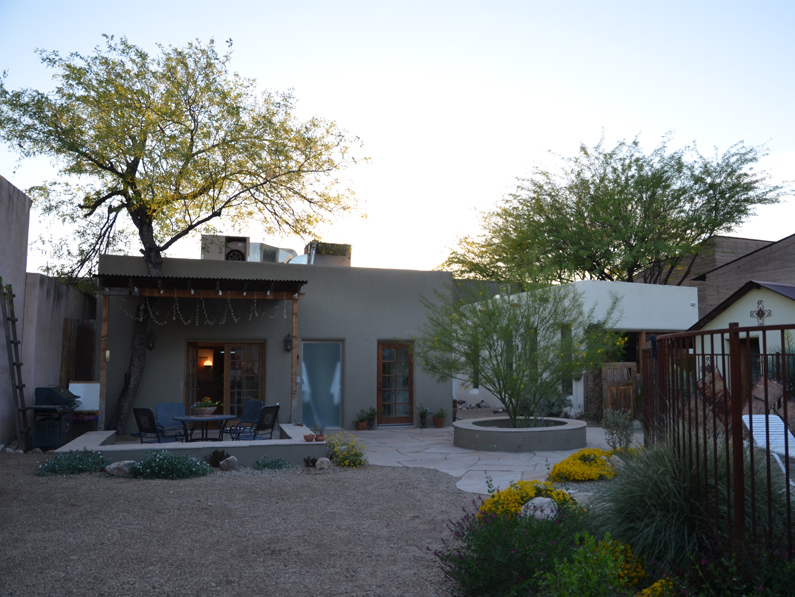 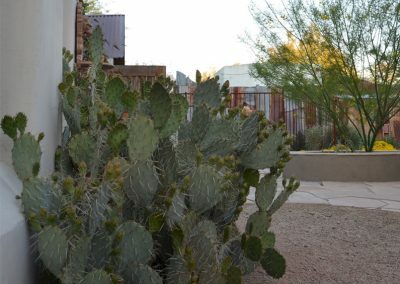 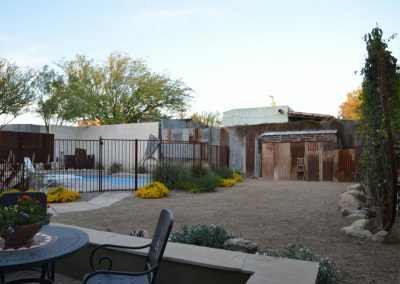 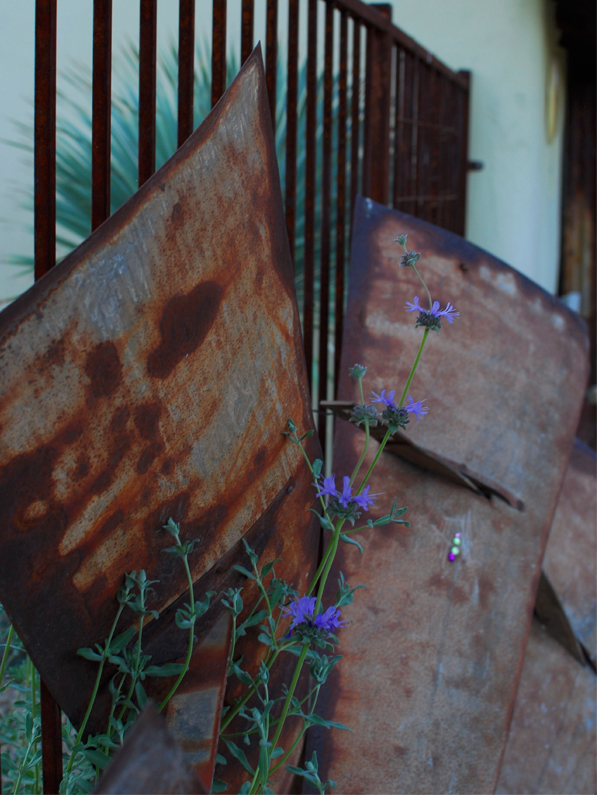 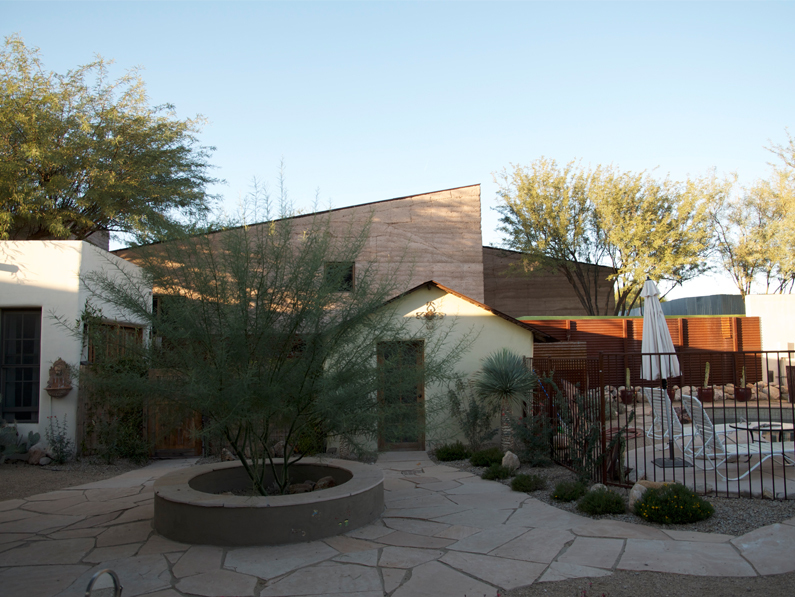 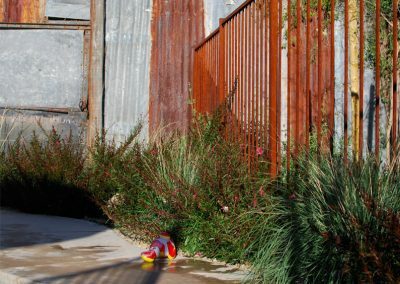 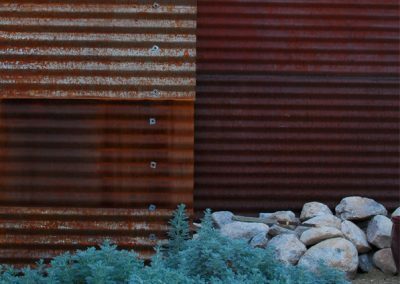 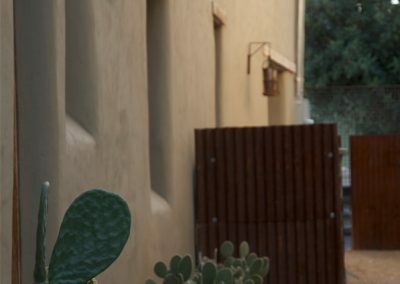 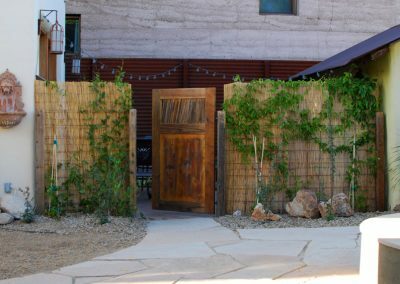 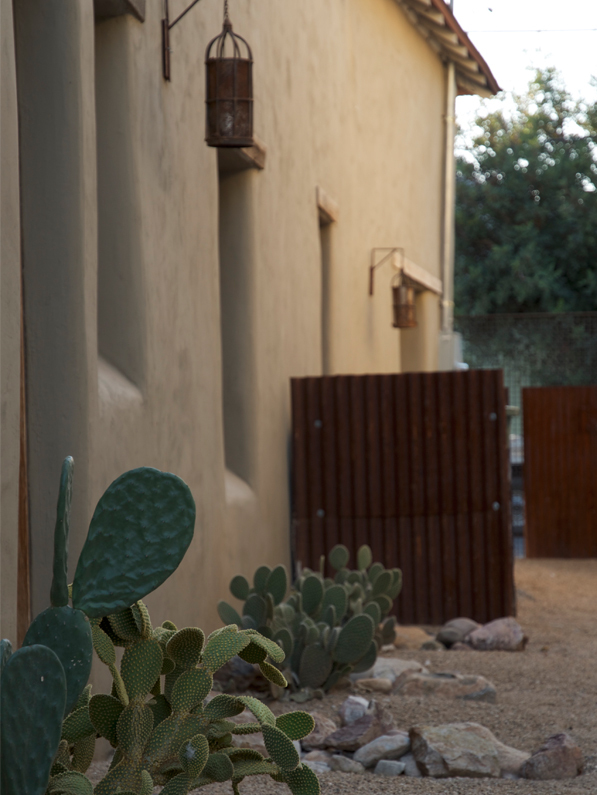 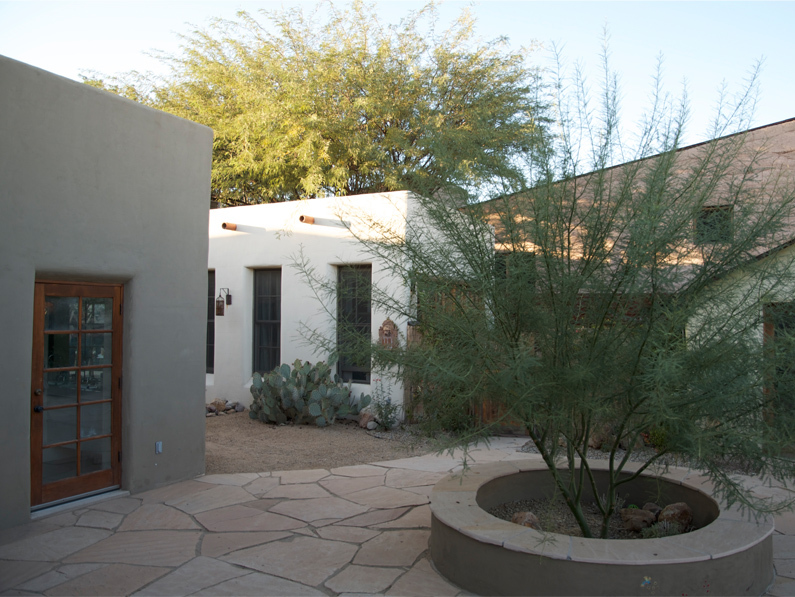 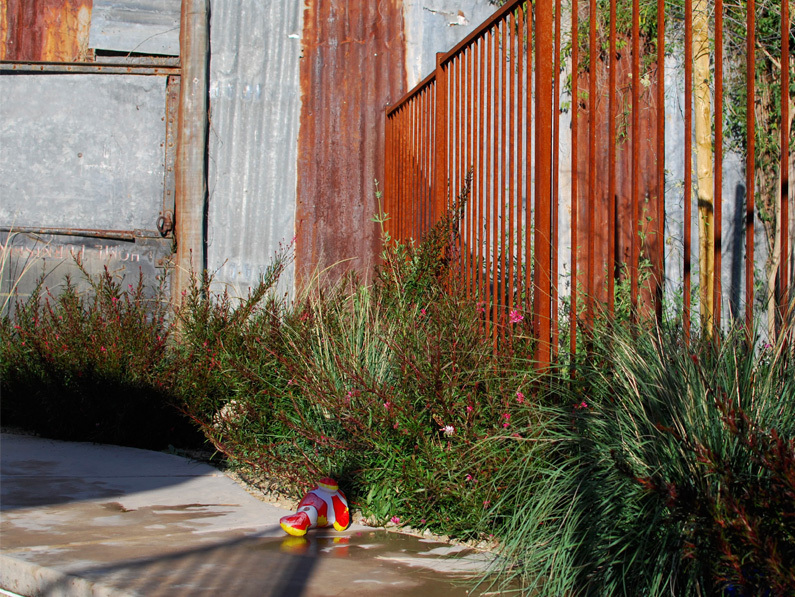 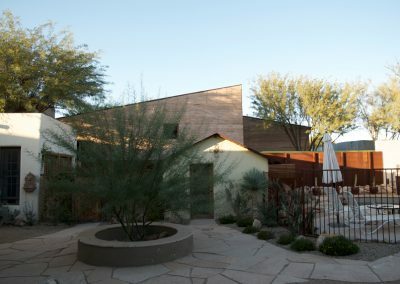 This project in Tucson, Arizona’s historic Barrio Viejo neighborhood contains three historic adobe structures and an abundance of upcycled salvaged steel repurposed as screens, gates, and trellises. 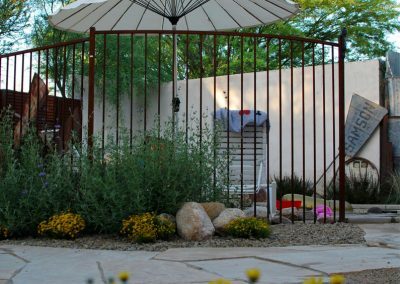 The circular seatwall/planter provides seating for parties and navigates the space between the main house, guest house, laundry room, and pool. 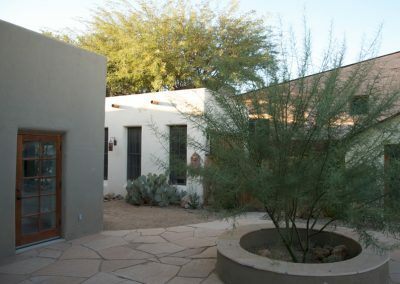 A Desert Museum Palo Verde assists with shade and screens the street to the west. 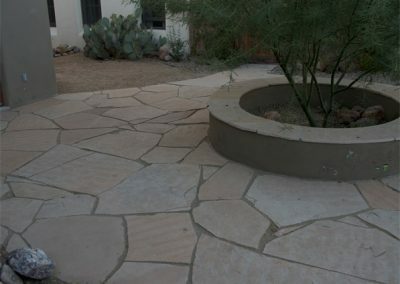 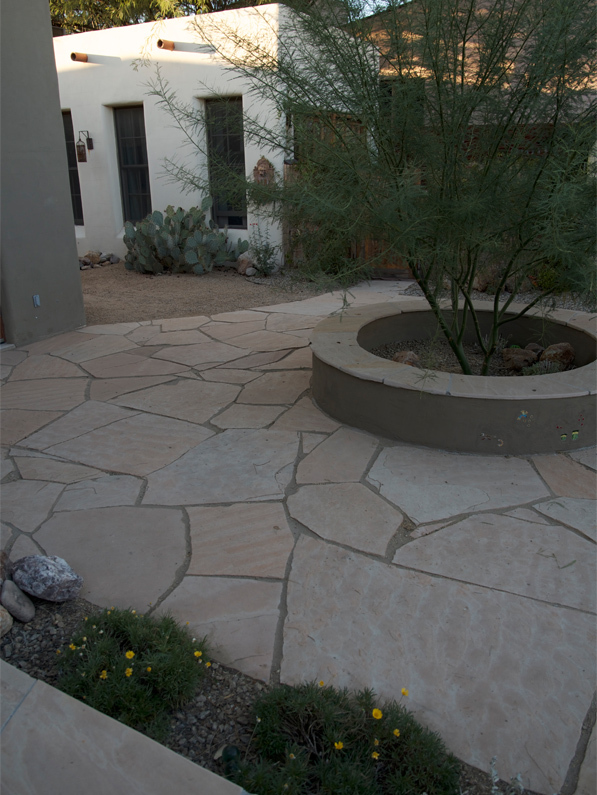 Repurposed flagstone and decomposed granite define the surface. 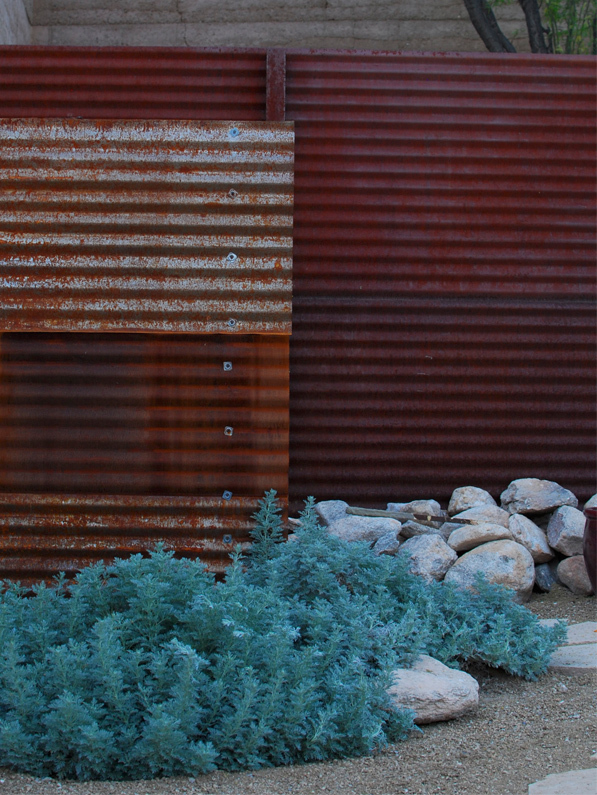 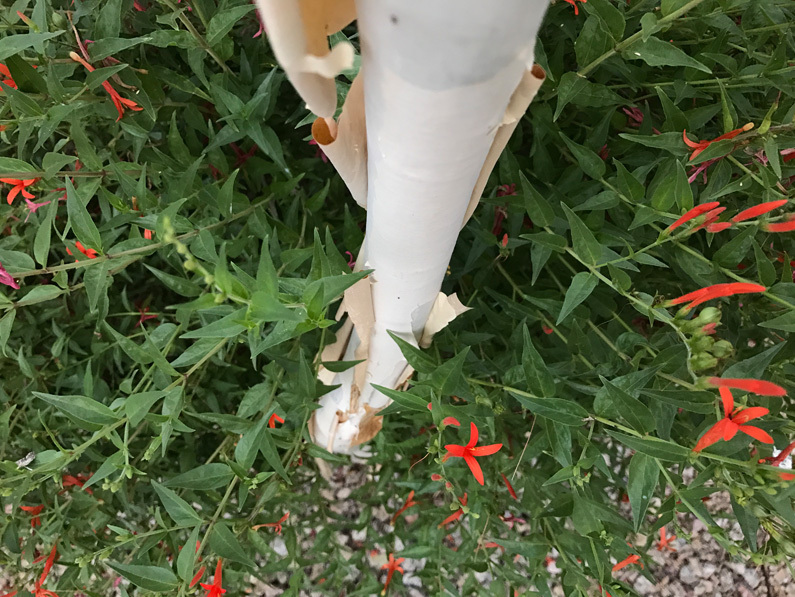 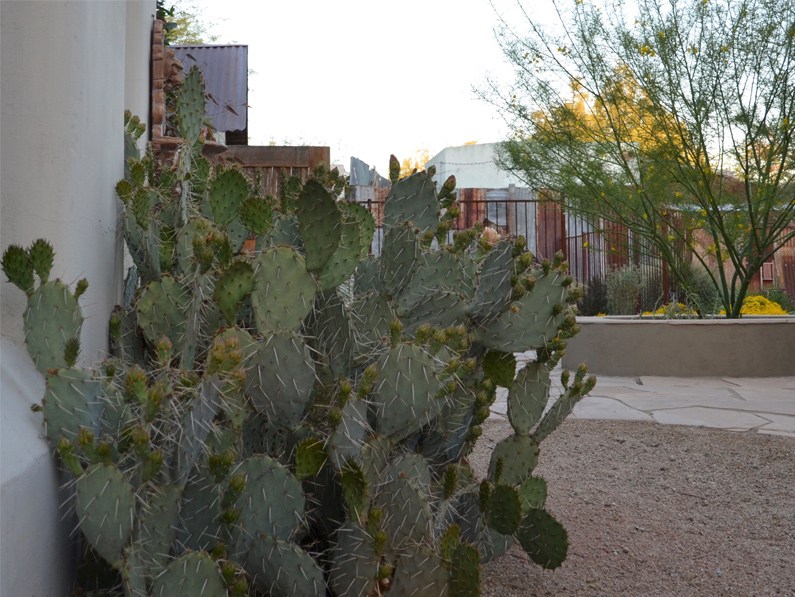 Yucca rostrata specimens function as visual landmarks marking destination points across the site, while fairy duster, damianita, and chaparral sage add color, and contrast with the repurposed metalwork throughout the project. 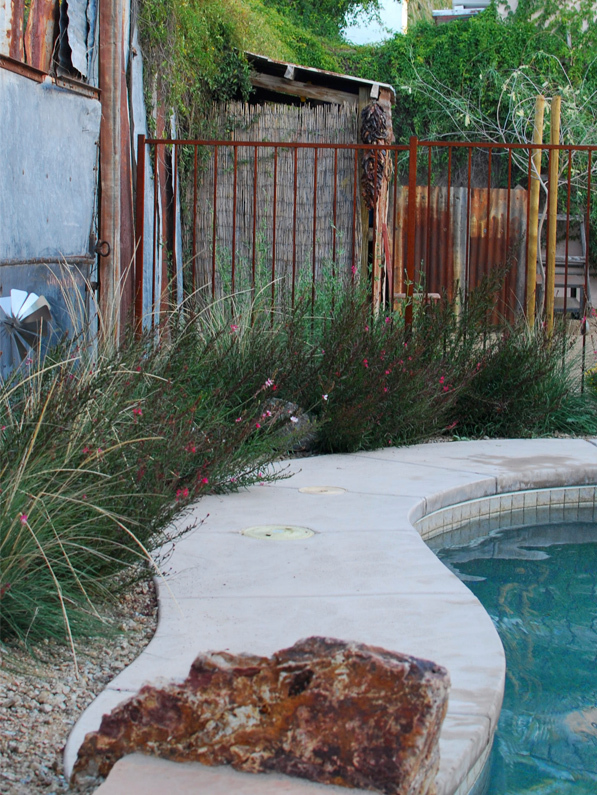 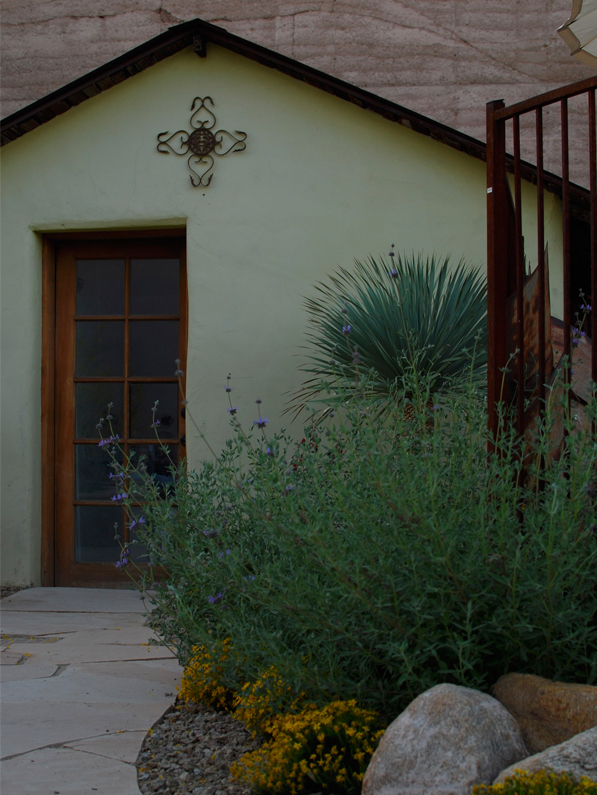 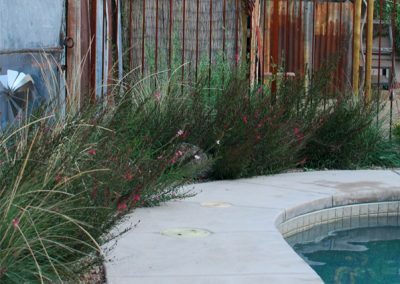 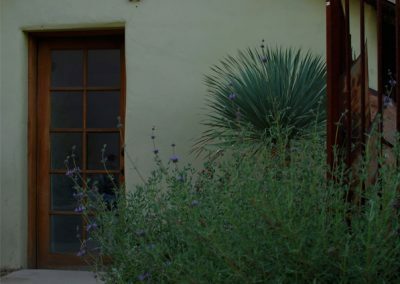 Within the pool gates, hardy perennials and native grasses soften the edges of the outdoor shower and narrow pool deck creating wispy shadows along the adjacent adobe wall. 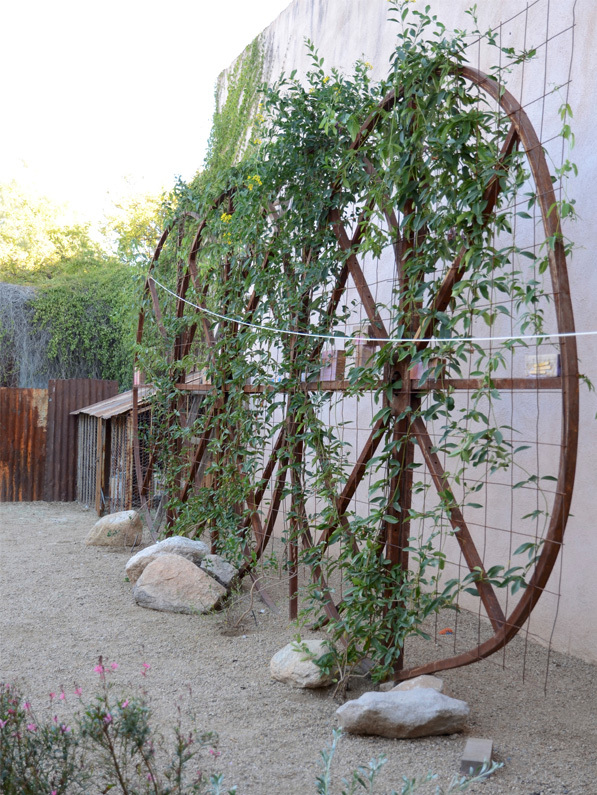 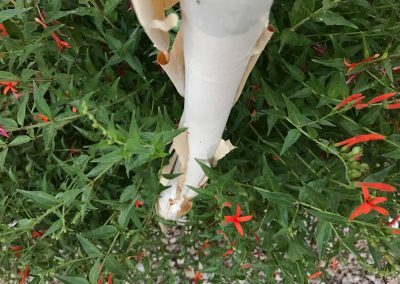 End caps from cable spools were repurposed by the homeowner as a Trellis. 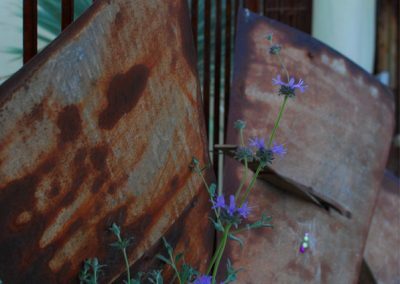 They provide visual interest along a lengthy wall. 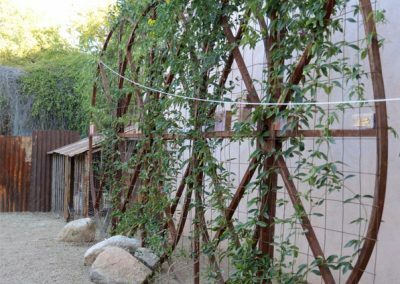 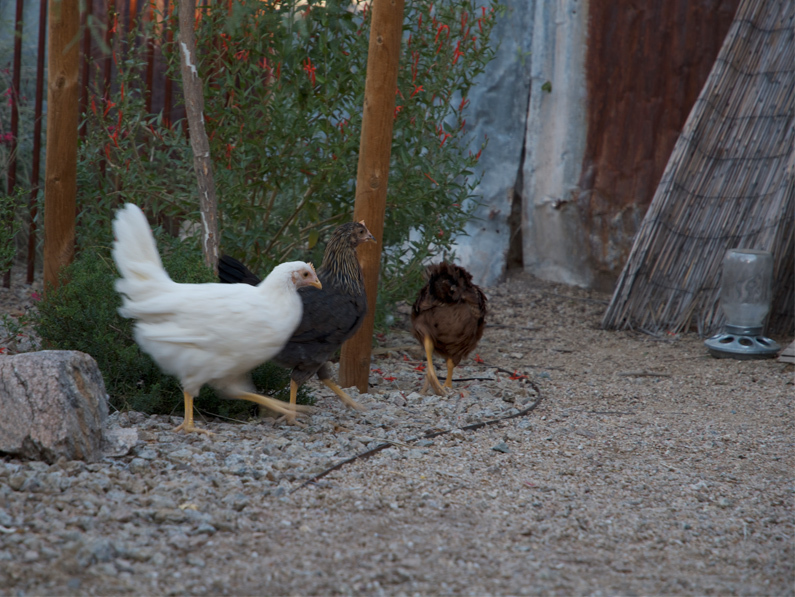 In the heat of summer the trailing vines cool the wall for a shaded chicken run.